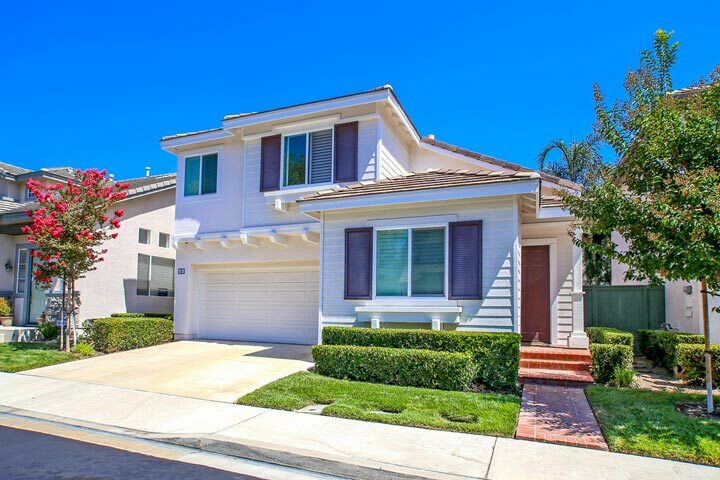 Harvest homes are located in the coastal community of Aliso Viejo. The Harvest neighborhood features three to four bedroom detached homes that range in size from 1,486 to 2,081 square feet of living space. The tract is made up of several quiet cul-de-sac streets that feature Traditional style architecture as pictured above. 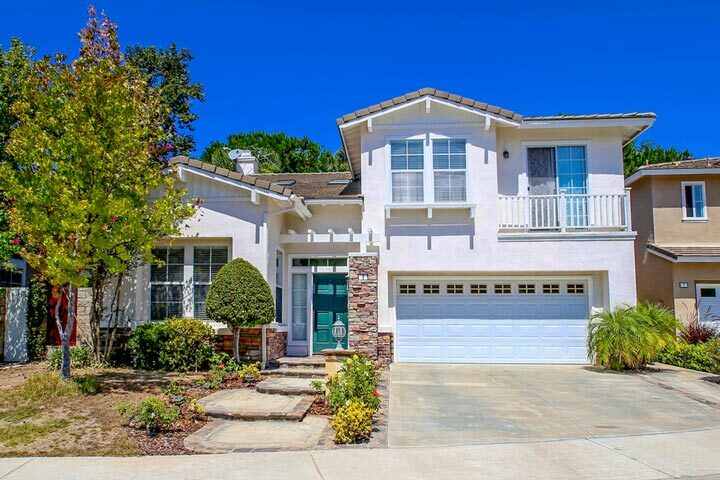 Below are the Harvest homes for sale and for lease in Aliso Viejo. Please contact us at 888-990-7111 with questions regarding this community and any of the units listed for sale here. One of the best parts about living in the Harvest community is having low Homeowners association dues and no additional Mello Roos tax that are very commonplace here in Aliso Viejo. The monthly homeowners association dues cover the front yard maintenance.